If you’re completely content with the look and feel of your home, great! But if you think there are a few things you can do around the interior and exterior of your home — it’s time you finally get off the couch and get to work on improving your property. 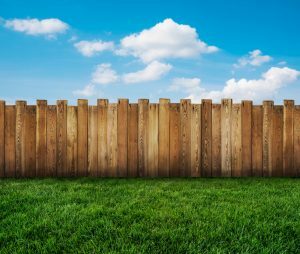 Fencing for your home — Residential fence installation might not sound like an exciting summer project, but as long as it’s done correctly, it can significantly boost your home’s appearance. It’s best to hire professional fencing companies so the job is done correctly, however. Keep in mind, though, permits are not required for fence installation if the fence is not higher than 7-feet, unless it is a barrier for a swimming pool. Now you can live your white picket fence — or any other kind of fence — dreams! Pool installation — Even if you’ve never had a swimming pool in the home you grew up in, chances are, you have at least thought about it. No more dreaming about having a nice pool out back, it’s time to get the ball rolling. Whether you have a large in-ground pool installed or a small above-ground pool built on your lawn, your property will never look better and your family will have endless amounts of fun. Do remember what we said about pool fencing permits, though. Safety should always take priority. Sporting areas — Try and think outside the box when searching for ways to improve your property. If you have kids who play sports, constructing a sporting area on your property is a great idea. You can build an ice skating rink, an area for patting cages, a putting green, a basketball court, or whatever you want if you have enough space and work with the right builders. Don’t just leave your property as-is if you’re hoping to get more out of your home. If you want to learn more about having quality fencing installed around your home, give Durham Fence Co a call today.